Wonderful cute kitten in a realistic style. 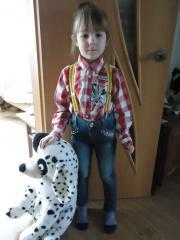 Will look perfect on denim dress. Oh yeah, and, of course, this is the surface! 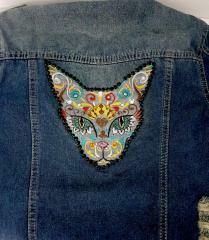 Incredibly good design machine embroidery kitten poi look on denim. 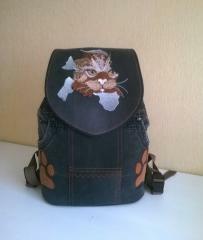 Regardless of what you decide to do: decorate your favorite jeans, create a denim dress or stitch a comfortable bag, a cheerful kitten in this design will make the thing look attractive. The bright colors of embroidery stand out in particular against the dark blue or black. First you need to determine which denim you are dealing with. 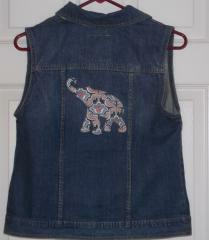 Denim is usually a lightweight cotton fabric. But there is with the addition of spandex or lycra, this fabric stretches well along and across. In this case, another type of stabilizer will be required for fixation. 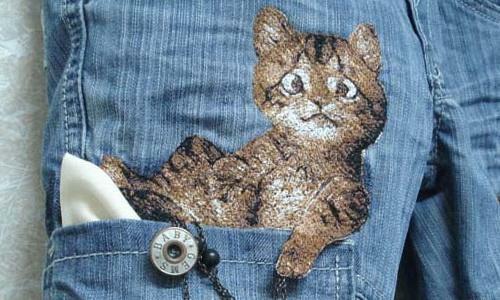 Seven things to consider when embroidering a kitten on a denim fabric: The first thing to do is to wash the fabric, it will surely shrink after washing. Do not iron the fabric, put it under the press to level. 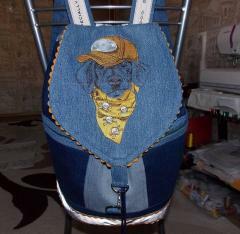 Denim is great for embroidery because it is rather thick, but not too thick. Therefore, it is sufficient to use a tear-off stabilizer. 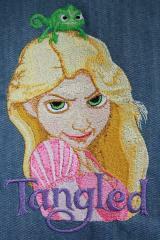 If you embroider on a dense fabric with a dense stabilizer, the embroidery will seem cumbersome. 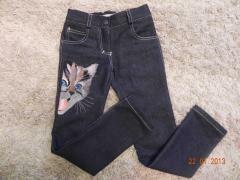 If the denim stretches horizontally and vertically, it is better to use a medium-density detachable stabilizer and a temporary fixation spray on it. Otherwise, the fabric will not be stable in the hoop. 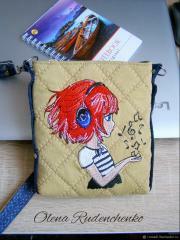 Embroidery will be uneven, and the fabric around will be pulled together. If it turns out that there are difficulties with the fading, the stabilizer should be fixed, and the fabric should be fastened on it with stitches or pins. Good results also gives the use of glue stabilizer. Since jeans are worn and washed a lot, embroidery threads must withstand all this without losing color and not spreading. The threads may be, for example, polyester. Not bad to reduce the density of embroidery, picking up a thinner lower thread. The needle must be sharp. 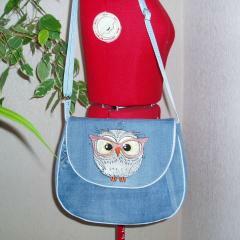 For example, 80/12 or a special needle for embroidery on jeans. 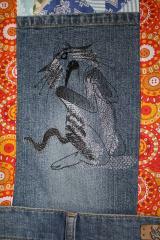 Machine embroidery design Cat tearing fabric perfectly cope with the task of decorating or repairing products made of denim. This is especially true for mummies of little supermen or cowboys. Ripped jeans, hardened jackets, ingrained green specks of grass will no longer make you wrestle with how to save a thing. 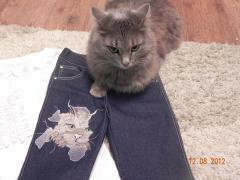 Angey catr will do an excellent job of embroidering directly on denim or creating stylish patch. Consider each of the ideas. 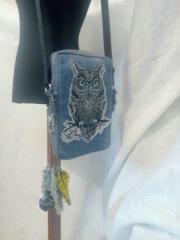 Embroidery on denim mane / repair products. 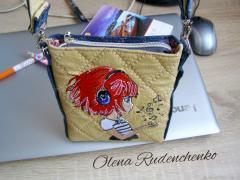 To repair torn products, you must first close the hole with sewing stabilizer. Turn the product inside out. Cut a patch from a stabilizer a little more, than a hole. Iron the interlining with the product. 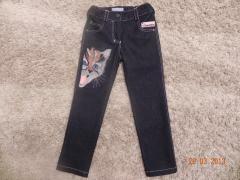 Stitch the seam of the product if you need to tack off, for example, jeans. 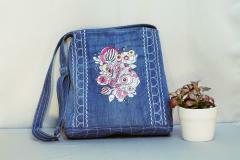 Denim is strong enough, which means that even the most complex designs can be embroidered on it. Use a tear-off or self-adhesive medium density stabilizer. For example Madeira Cotton Fix. If you use Madeira detachable stabilizers, note that they do not have an average density stabilizer. For all types of embroidery, the standard stabilizer Madeira Super Gold is used. 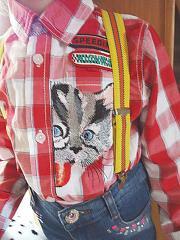 For embroidery on denim mans use a pointed needle № 75 / 11 or № 75 Create a patch using angry cat machine embroidery design So, to get such a stylish patch for your little superhero's clothes, follow these steps: Take a base fabric for the stripes, or a normal felt fabric, preferably black. Tie the fabric into the hoop. Take the tear-off stabilizer. The ideal is self-adhesive Madeira Cotton Fix. Glue it to the mani. To do this, simply tear off the protective film and attach the adhesive side to the inside of the base. For black mani is best to take a black stabilizer. Embroider the design. Tear off excess stabilizer or cut the fabric close to the contour. Your patch is ready! It remains only to adapt it to the product. You can sew a patch with a sewing machine, paving the line on the contour, or manually. We recommend using a special adhesive base for stripes. It consists of two layers. One layer is matte and the other is glossy. Cut the canvas a little more than your patch. Attach it with the glossy side down, matte up to the wrong side of the patch. Iron the film with the iron heated to the maximum temperature. After about a minute, it will stick to stripe. To glue the patch to the fabric, simply tear off the protective coating and apply a sticky side to the fabric in the required place. Then iron the patch with a hot iron. 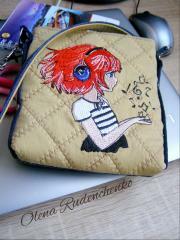 This is cool everyday bag with convenient and very well elaborated design made by Maike Murken. Just look: it is executed from dense denim with leather bottom to make it especially durable and practical. It also has couple of handles to hold it at hands and another long one to wear it on shoulder. 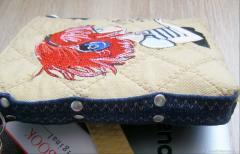 Finally its front side is decorated with Bright birdie embroidery design. What else you need to love this accessory? !